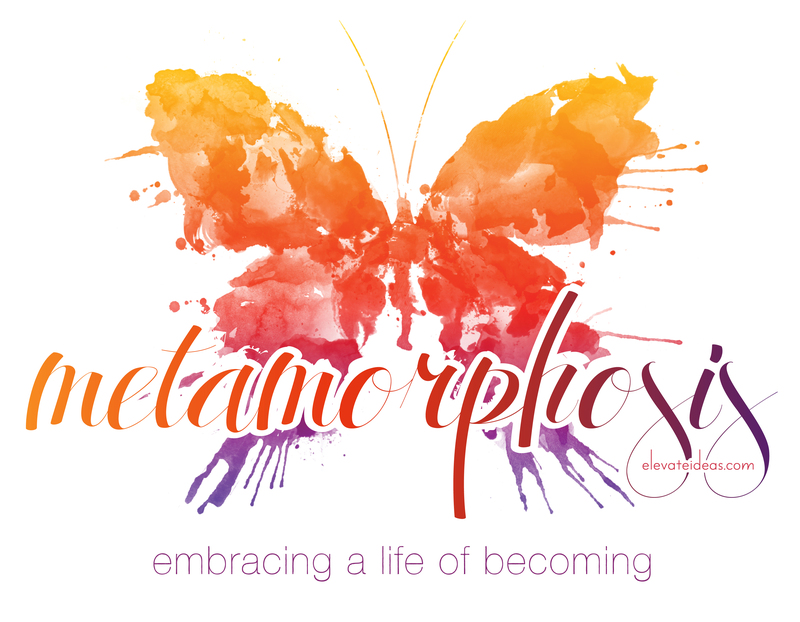 metamorphosis: embracing a life of becoming (introduction) | elevate ideas. It feels like it has taken me a lifetime to get here. These words and this message and this timing — I’ve hidden from it for a long time. Somehow, I have believed that keeping this secret will protect it…when in reality, it’s just kept me from doing the actual work of writing it. Because believe me, I have found literally every excuse possible to avoid actually just finishing the thing. For this message, this theme, has been my book dream for years now. I’ve dreamt it and walked it and talked it, but haven’t sat down to write it, to share it, to f-i-n-i-s-h it. And my friends, God has said it’s time. And He told me last summer to not lose focus of the message by focusing on the method. So here is where I begin to transform this long-awaited dream from hidden thoughts to vulnerable words and wear them on my sleeve. Because y’all, the words are dying to burst forth. And because God has sent confirmation after confirmation. And He’s literally sent butterflies…tons of them. Flying in front of my car windshield over and over and straight up in my face. So for the next few weeks, I’m going to write about metamorphosis, and how our lives here on earth are a continual process of becoming and being in the process of. My goal with this series is to help you discover the journey toward your calling is just as much the call as the call itself. Just as the butterfly flies freer after having known what it’s like to crawl on the ground, the places we think are stagnant are really vital parts of a process God brings us through. The process is incredibly intentional — so that we fulfill the destiny He has planned for us all along…to fly freely. I hope to challenge you to recognize the process God currently has you in, embrace it, and find purpose and progress in it. Because, my friend, regardless of where you are, I know this — you are not stuck. You could be in a time of birthing — where God is birthing dreams and visions and callings in you, and you are consuming all you can of Him and His word about your circumstance at this time. You could be in a time of crawling — where you feel your dream has died and that God has abandoned you; it feels too hard, not worth it. Where you’re left feeling like you’re in captivity or failure or hiding. You could be in a time of cocooning — where you feel isolated or quiet or tested. Where you’re under His protection, even when it doesn’t feel like it. Or where you feel just comfortable enough, and are afraid to get out of the boat for fear of sinking. Or you could be in a time of flying — where you have a holy anticipation of something amazing right around the corner, and are trusting God and leaping off the edge, spreading your wings and willing to fly. My friend, you are NOT stuck. And where you are is not unfair. Because the process you are in will ultimately make you a beautiful, vibrant, flying creature. Throughout this series, we’ll find there is progress each step of the way, if we just elevate our thinking and choose to see it from God’s transforming perspective. As I see it now, this will be a four-week series, and each week will focus on one of the four phases of transformation. We’ll look at the characteristics of each phase, and also learn from biblical examples of others who have walked this process time and time again. We’ll give ourselves permission to take a deep breath and give ourselves grace to be in the process of becoming. And we’ll end each week with a challenge to help reinforce what God is speaking. God has divine purpose in taking us through intense metamorphosis. He knows what it takes for us to fly freely. The crawling on the ground, the dying to self, the emerging completely transformed — He is taking us from dead to alive. So it’s time. It’s time to share and journey together toward embracing our life as a process not a destination. To find the transforming power of Jesus in every circumstance and season, and embrace Him wholeheartedly. It’s time to embrace becoming. I hope you’ll join me. I’d love to travel this road hand-in-hand with you, celebrating your transformation along the way. Pingback: week 6: cocooning, part 2 (metamorphosis: embracing a life of becoming) | elevate ideas. Pingback: week 5: cocooning, part 1 (metamorphosis: embracing a life of becoming) | elevate ideas. Pingback: week 4: crawling, part 2 (metamorphosis: embracing a life of becoming) | elevate ideas. Pingback: week 2: birthing-part 2 (metamorphosis: embracing a life of becoming) | elevate ideas. 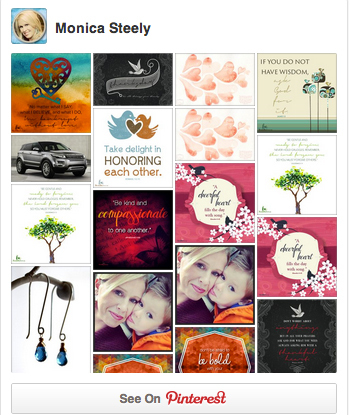 Pingback: week 1: birthing (metamorphosis: embracing a life of becoming) | elevate ideas. Yay! Does this mean you will be focusing on a manuscript based on this series??? ;) Keep going, Monica! God has great plans! Love love love. Can’t wait to read more!!!!! Then sings my soul… Monica, you are singing my song! I am so with you, sister! You know I am, too! Take my hand girl, because i am SO going on this journey too. I can’t wait to see where this writing takes me, takes you, and each one of your precious readers who are blessed to read along. Can. Not. Wait! Oh Missy, you’re my biggest cheerleader, and if I could I’d get you specially made golden pom-pons with mini devil dogs attached to each strand. Love you to pieces, my friend.